As we get ready to take our last Disney vacation with someone in the 3-9 age bracket, I started to think about what will change when she’s officially an adult according to Disney ticketing and dining standards. Other than the price increase, the big difference will be the bigger meals. 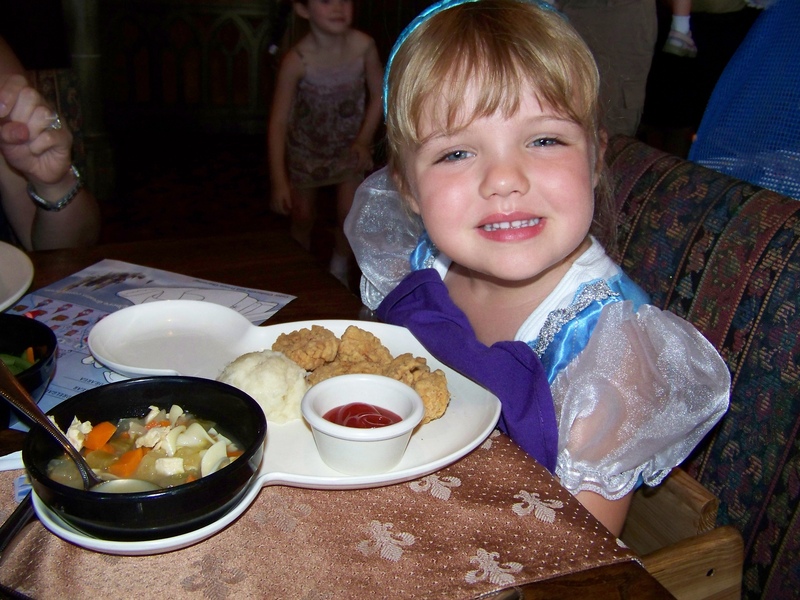 For this trip we are using the Disney Dining plan (Quick Service version) and I started to get a little worried that my daughter might just starve based on the kids meals in the parks. Note – the meals I’m referring to in this post are the quick service meals, but my pictures are table service meals – apparently in my thousands of Disney pictures I haven’t taken any of a kid’s quick serve meal!